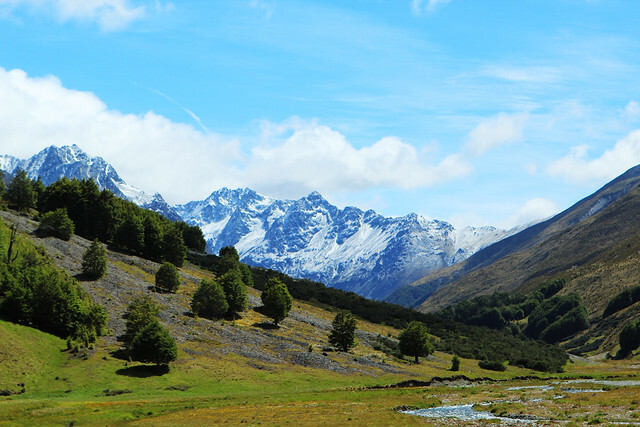 It’s been wet and nasty this spring at Cedar Lodge on the South Island of New Zealand. 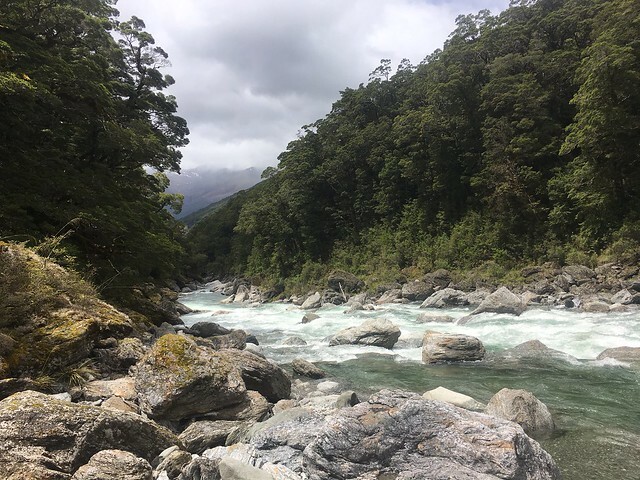 According to most of the long time residents in the Makarora area there hasn’t been a spring like this in nearly 20 years. We have struggled at times with high water and have already experienced more “no fly” days than we had all of last season. Our most productive fishing days have been when the mid day temps have crept up enough to get the mayflies and Manuka Beetles going. 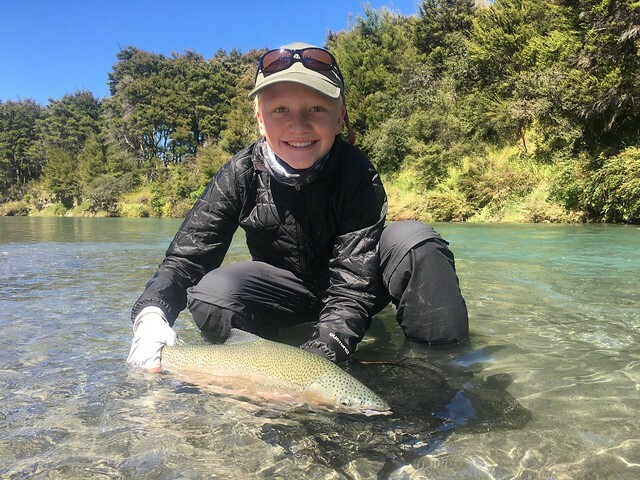 New Zealand is an amazing fishing destination and when the wind and rain have stopped for a day or two we have had some really nice fishing. 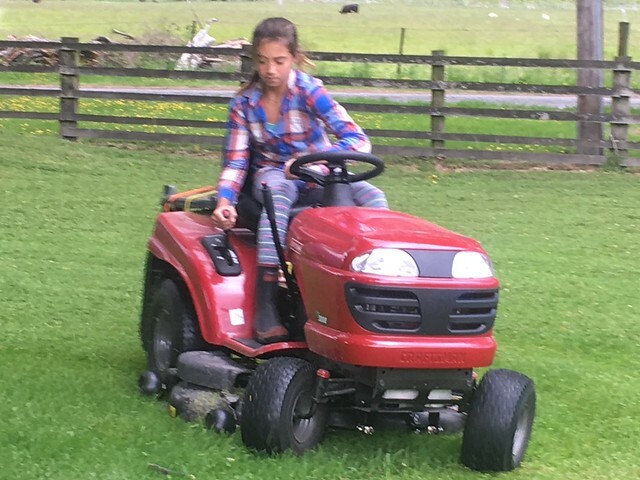 New at the lodge this year is a dedicated “school house” for the kids, a large chicken run for our egg laying friends, a new mower and a repaired tractor. Our landscaping is taking hold in a nice way and the native trees and plants we planted are maturing nicely. The five hole golf course is in as fine a shape as ever. The garden, both in the tunnel house and raised beds is prolific. All is lined up for a nice season ahead. It’s been great having many return guests this spring at the lodge. While they have a great understanding of the unpredictability of weather in our area, it never seems to lessen the frustration and helplessness I feel when our fishing options are limited by weather and water conditions. Our new clients have also been very understanding and have been so positive when we have been in “scratch it out” mode. Our last week of the “pre Christmas” season was much anticipated by the kids. The Hopkins family of 5(3 kids 11,13,14) was coming. Returners Rob Masonis of the Wild Steelhead Initiative and Stuart Alsop joined them. With much in common the group was at home together immediately and the week flew by. All three kids would heli to fish and hike during the day and upon return they would play hard until dark with my kids. By the end of the week all the kids were “knackered” and ready for a rest. We had some fun times this week but I thought I would share one in particular. 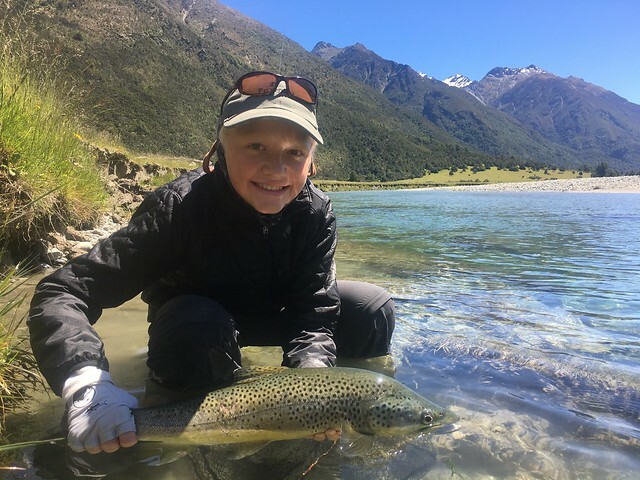 Ashley Hopkins captured her son Trip and I stalking, battling and eventually catching a beauty of a brown trout. We have a nice brown spotted in the backwater ahead of us. We watch it cruise around feeding on both nymphs and beetles. This fish is in close quarters. We talk strategy, about making one perfect cast ahead of the fish but not so long that the circular current of the backwater effects the drift. Trip makes an absolutely spot on cast and takes his time with the hook set. The Brown is on! Well done Trip! Rod up, try and keep him in the pool! The instructions and praise are flying out of my mouth and Trip is hanging on, keeping the line tight skillfully. The net is out and I am thinking we may get a shot at him early in the fight. The river we are fishing is higher than normal, the brown has decided to leave the backwater….. uh oh.. backing is in view. This battle goes on for several minutes, trip gaining and losing. Trip passes me the rod and I am trying to get around, up over and in-between the Matagouri and Bush Lawyer. The plan is to have trip sneak under and around the scrub and I will crash through through and hand him the rod. At this point the line is stuck in the brush. I now have the line out and you can barely see Trip under the brush. We are now clear of the deep and “brushy” spot and while the river is still quick we can carefully get around to a softer water landing spot. To Trip’s credit the line has remained tight and the fish is well hooked. A much more comfortable spot to land a fish. Finally to the net and we can all breath. All of our efforts pay off! A quick look at a gorgeous fish. And on to the next one! A few more fun shots from Cedar this year. 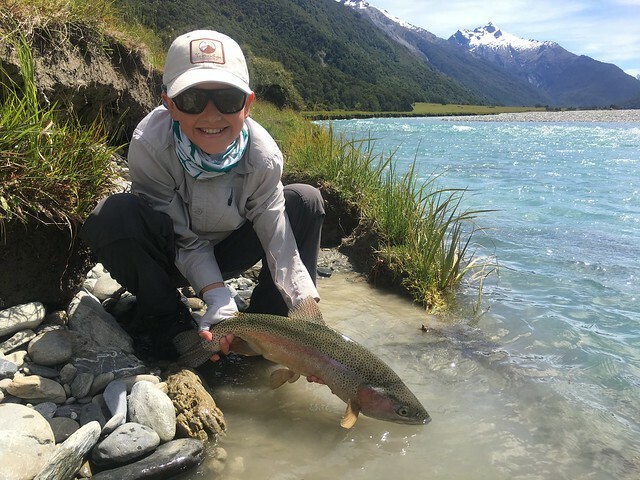 This entry was posted in Fly Fishing Travel. Bookmark the permalink.